Vote (multiple choice allowed) for the aircrafts and helicopters performing well enough to avoid a total decommission by the end of this decade. Like in the case of the land warfare, I think it is interesting a talk about the performance of the older aerial warfare taking into account the overall pictore. In the forum there are multiple topics about every aircraft or helicopter where many details are discussed independently, but only to look at the overall picture allows to see the priorities. The discussion in this topic would be about the aerial warfare that has some capabilities or is designed to work in contested areas. Also like in the case of the land warfare, the people has the chance to talk in the poll of the topic with their votes. In this case multiple vote is allowed too to make possible that every reader can select all the aircrafts and helicopters that can have a longer future in the Russian armed forces avoiding a total decommission before the end of this decade, according to his/her opinion. In the family of small combat aircrafts with different roles (fighters, interceptors, land attack,...) the Su-25 seems to be the less modern aircraft. It is also the smaller and less powerful, it is the alone that reach not supersonic speed and it is one of the oldest in service from this family. Today the armed forces of Russia continue interesed in this open family of aircraft with intensive work in the development of new aircrafts. In the family of long range bombers, called also strategic bombers, the introduction of shipborne unmanned aircrafts of different sizes (all significantly smaller than strategic bombers) for reconnaisance, surveillance and maritime patrol roles, makes more clear that the concept of strategic bomber must share the same philosophy to deal with land or sea targets (including submarine targets). The entire concept of the strategic bombing has been discussed many years. Some people considered it outdated after the introduction of the modern air defense systems, but also the evolution of the ammunition used by the bombers makes unnecessary for the strategic bombers to fly over a target in order to hit it. This detail gives to the concept of the strategic bomber a longer life than expected, and today are appearing new projects for the future. Today, the oldest part of this family of aircrafts in service would be formed by the Be-12, Il-38 and Tu-95/142. It would be the oldest in age but also in concept. They share to have big crews, and some weak technological details like to be subsonic, and in the case of the B-12, even to have a range under the current standards for strategic bombers. It makes to think that the Be-12 can be the first aircraft totally decommissioned between the aircrafts of this family. Today the family of the helicopters are the lightest aerial combat vehicles. Without protection and with lower speed and altitude than the combat aircrafts, the concept proved to be more vulnerable than the previous concepts to new armament, even man-portable, but at same time is appreciated by its performance. Surely the entire concept of helicoter needs a review for combat roles, and it is likely that the future can go to unmanned helicopters that keep the combat capabilities but avoiding the human loses when they are shut down. Today, helicopters with human crew continue being produced. In overall terms, the Russian reserves of combat aircrafts and helicopters seems not satured. It seems that there is room for new units in everyone of the previous chapters. If there is some total decommission (from active service and from the reserve) in the following years, it will be surely because the aircraft decommissioned as concept is not useful for combat operations at the time of the decommission. At the time the Ka-27/28/29/31/32/35 was included in the poll, because of a little antisumarine role, but it is mainly an auxiliary aircraft. In the case of the Mi-8/9/13/14/17/18/19/24/25/35/171/172/177 it was not included as an single type despite to share a unified technollogical basis. Which is your opinion about them, do you think some of them (or maybe all) will contiue serving in the next decade? Which of them can remain active for longer time? PS: Feel free to add news refered to possible or real decommissions in the sort-term or in the mid-term. I do not get why you list so many new aircrafts as being to discussion of decomission? Mi.14 just entered back into production meaning the fate of it is already sealed and it will serve for at least two decades. Ka-27/28/29/32 are among the most modern ASW helicopters in service and recieve such an attention from Kamov like no other helicopter and they do fit them with latest technology while more expensive Attack Helicopters have to wait for years to recieve such equipment and defensive suites. Su-25 will not be decommissioned there is no other aircraft that has such a history and well performance and cooperation with Hinds like the Su-25 and with modernized SM2 version there is no plans or discussion or even suggestion to decommission it, good that russian MIC has not its hands so deep buried in arses of some politicians and army to propose some crap plane like F-35 to performe such high dangerous roles like CAS which were designed and intented to fight equal or superior forces like the Soviet Union. Mi-24 in all its versions is a unique Attack Helicopter and most armored transport helicopter and is constantly leased from russian, belarussian or polish companies from UN for specific jobs from CAS to VIP transportation. If i had to bad which Attack Helicopter will fly in next 30 years my bed would be always on the Hind, it also has the highest modernisation capabilities from its design, space and requirements based on high intense battlefields of modern armies. Mi-28 and Ka-52 just entered army and are constantly modernized among entering their 45-50% of their ordered production scale, they are the most modern Attack Helicopters and are just finished with their operational status and integration of systems and are already upgrade to NM and K models, noway to decommission them in next 20 years. Tu-95 will remain for at least a decade if not longer, modernized and are used for the purpose of launching nuked cruise missiles and regardless if you change them for something new, their intented role will not change the capabilities or parameters much of the current or a further modernized Tu-95M's. There are many other aircrafts that would actually face decommission or should be decommissioned among them i voted there is non that will be decommissioned some will not be decommissioned in several decades. The point of the topic is not about an inmediate decommission. The question of the poll is about decommissions in this decade, assuming that there is a longer prospect for some or many of them. Also the point of the topic is more focused on warfare. It would not include the entire bench of aerial vehicles used by the armed forces. When you say that there are other aircrafts of military use that can be decommissioned before, maybe you think about some transport aircrafts and helicopters. This would not be as close to the focus of the topic, since most of them have not own armament. Trying to include all the aircrafts and helicopters the list would be different, of course. eehnie wrote: The point of the topic is not about an inmediate decommission. The question of the poll is about decommissions in this decade, assuming that there is a longer prospect for some or many of them. This decade ends in only 5 years, non of my listed vehicles will be even considered of decommission in that time frame and almost non of them will be decommissioned in next decade or the decade after. You listed relative new vehicles that are all either modernized or put back into production or are performing good enough that would not justify an introduction of a new aircraft. While making the list, I tried to take in to account two things, the age of the model (earliest versions) and the prospect of the concept remaining in the time. I tried to do it as fair as possible. If the people think that most of the models have longer life they will say it, and they will vote in agreement with this opinion. In my view many aircrafts and helicopters with many votes thinking they will have longer life would not be a trouble, would be sign that the Russian armed forces are well updated in aerial warfare. the upgrades of the Su-25 are intended to improve performance without incurring extra costs that would make it expensive to actually use. In comparison the MiG-25 would be a rather expensive aircraft to operate, even more so today. Not sure how you can include the Blackjack amongst the older aircraft they were made from the mid 1980s onwards and are actually younger than most of the aircraft in the US Air Force fleet. Equally the MiG-31 has been in service since the late 1970s, yet with upgrades is currently the most capable interceptor available anywhere. The Tu-95 can be withdrawn when the PAK DAs are in full production to replace them, the Tu-142 has no obvious replacement in sight. the Il-38 will continue to serve though the Il-20 and IL-18 should be replaced shortly. The Be-12 should be replaced by another Beriev Amphibian, a replacement for the Su-25 will likely start production in the mid 2020s but it will be a very useful aircraft for some time after that. The Mi-14 is back in production and the Kamovs will likely be replaced with upgraded versions of themselves. the Hind will also likely remain in service for quite a while and the Mi-28 and Kamov Hokums have not even reached maturity let alone need to be replaced any time soon. Be-12: I think this aircraft would be the first in line for a decommission. It seems to me that is being quietly replaced and removed from active service. I think the total decommssion can come before the end of the decade. The replacement until now is not being done by another specific model. In overall terms the reconnaisance and maritime patrol roles are being covered by unmanned drones and satellites, while the anti-submarine and anti-ship role is being covered by helicopters based on ships or by bombers based on land. This aircraft has a civil use side that can make easier a sale. Il-38: I thik this model would be second in line for a total decommission. The fact that the Tu-142, a variant of the Tu-95 strategic bomber was designed as a replacement of the Il-38 and accepted as successor at the production level talks about how close are the bomber role (strategic and ligh bomber) and the most military part of the maritime roles (anti-submarine and anti-ship). Also it means that it would be logical that Tu-95/142 remains longer time active than Il-38, and I would not rule out this aircraft going to the reserve before the end of the decade. I would put the most military versions of this aircraft in the list of aircrafts waiting the construction of new strategic bombers for a replacement (new Tu-160, Tu-PAK-DA or even maybe shorter range new Tu-22). The big crew of 7 to 10 needed by this aircraft makes it less safe and more expensive in operational costs than the people would expect. I would not consider a sale of the Il-38. Tu-95/142: I think this aircraft would be the third in line for decommission. Like the Il-38 has a big crew (7). The replacement of this aircraft would be also waiting the production of new strategic bombers (Tu-160, Tu-PAK-DA or maybe Tu-22), but can go to the reserve a little earlier, even before the end of the decade having in active service the entire fleet of Tu-22 that are more modern in concept but are of shorter range. Again I would not consider a sale of this aircraft. Su-25/39: I think this aircraft is one of the easiest to be replaced. I think the Su-34 seems a perfect replacement for the Su-25 and is in production, while the Su-24 remains more actual in my view and should have longer life. In this case a sale of used aircrafts to third countries would be likely in my opinion. Mil Mi-14, Ka-27/29/31/32, Mil Mi-24/35, Mil Mi-28 and Ka-50/52: While it is expected an evolution o the concept of helicopter from a human guided vehicle to an unmanned vehicle, the potential successors of the human guided helicopters are still unknown. It means some years of development are necessary still for it. The fact that all these models are still in production after the production of the Mil Mi-14 being resumed recently also reinforces the same idea. As conclussion I would say that the biggest need of the Russian air forces in order to keep the aerial warfare well updated would be in the group of long range strategic bombers adapted for both sea and land. Also a work on unmanned combat helicopters seems a good option looking at the future. The newest warfare in the group of smaller combat aircrafts (fighters, bombers, ground attack, interceptors,...)seems more to reinforce the current fleet than to replace old warfare. Despite it I would not rule out the Su-25 being totally replaced. the decision regarding this aircraft is rather more complex than you make out. It performs a wide range of roles including search and rescue as well as ASW and other duties. Its history and experience need to be carefully examined to determine whether it needs the amphibious capabilities it has or not. If it does then the Be-200 would be an ideal replacement, but if it does not then the Tu-214 or similar would be rather cheaper to buy and operate. Il-38/18/20/22: I thik this model would be second in line for a total decommission. The fact that the Tu-142, a variant of the Tu-95 strategic bomber was designed as a replacement of the Il-38 and accepted as successor at the production level talks about how close are the bomber role (strategic and ligh bomber) and the most military part of the maritime roles (anti-submarine and anti-ship). Wrong. the Tu-142 is a long range MPA and has anti carrier roles. The Il-38... which is in the process of a total new upgrade... is a medium MPA. Also it means that it would be logical that Tu-95/142 remains longer time active than Il-38/18, and I would not rule out this aircraft going to the reserve before the end of the decade. Both aircraft will likely to continue to perform their roles for the next ten years or more. There is nothing to replace either of them at the moment. I would put the most military versions of this aircraft in the list of aircrafts waiting the construction of new strategic bombers for a replacement (new Tu-160, Tu-PAK-DA or even maybe shorter range new Tu-22). The Tu-22M has a similar flight range to the Il-38 and about half the range of the Tu-142 and would be an awful replacement for either aircraft except in the anti ship role. The big crew of 7 to 10 needed by this aircraft makes it less safe and more expensive in operational costs than the people would expect. Less used (by the Russian armed forces) transport versions of this aircraft are also easily replaceable. I would not consider a sale of the most military version (Il-38). The large crews are needed to monitor systems and control systems on board... processing info on board in real time without having to transmit all the data collected means less communications and less chance of being intercepted/detected. Tu-95/142: I think this aircraft would be third in line for decommission. Like the Il-38 has a big crew (7). The replacement of this aircraft would be also waiting the production of new strategic bombers (Tu-160, Tu-PAK-DA or maybe Tu-22), but can go to the reserve a little earlier, even before the end of the decade having in active service the entire fleet of Tu-22 that are more modern in concept but are of shorter range. Again I would not consider a sale of this aircraft. So you think Russia should have enormous gaps in its force because its aircraft are "old". Most of the Tu-142s were produced in the 1980s and 1990s and are younger than the majority of US fighter aircraft, but you think they should be retired without replacement? Even better why not replace the Su-25, Su-24, Su-34, and Tu-22M with the Blackjack? The Su-25 is a CAS aircraft, Su-24 and Su-34 are medium strike aircraft, Tu-22m is a heavy deep strike aircraft. Blackjack is a strategic cruise missile carrier. The only aircraft mentioned needing replacement here is the Su-24. MiG-25: I think the replacement of this aircraft would be surely the easiest taking into account that his successor, the MG-31 is in production and being also in the reserve. Still, in my view the MiG-25 remains very actual in concept and should not be retired even being as easy as it is. How many do you think are in service right now? Mil Mi-14, Ka-27/29/31/32, Mil Mi-24/35, Mil Mi-28 and Ka-50/52: While it is expected an evoluion o the concept of helicopter from a human guided vehicle to an unmanned vehicle, the potential successors of the human guided helicopters are still unknown. It means some years of development are necessary still for it. The fact that all these models are still in production after the production of the Mil Mi-14 being resumed recently also reinforces the same idea. How does the fact that these aircraft are all still in production and use reinforce the "fact" that they will be replaced with UAVs? I would suggest that actually proves the opposite, because if the roles these aircraft perform could be performed by unmanned aircraft there would be some unmanned aircraft being developed for the roles... AFAIK there isn't. Most are actually being upgraded and improved rather than getting ready to be replaced. As conclussion I would say that the biggest need of the Russian air forces in order to keep the aerial warfare well updated would be in the group of long range strategic bombers adapted for both sea and land. The strategic aircraft they have would be fine till 2050... the US B-52 will serve till then and they were actually made in the 1950s and 1960s, unlike the Russian strategic aircraft that were made in the 1980s and 1990s and are much newer. Also a work on unmanned combat helicopters seems a good option looking at the future. What? Who on this planet is working on unmanned combat helicopters? there are recon models and small transport models but certainly no attack aircraft that I have seen. Despite it I would not rule out the Su-25 being totally replaced. Lots of speculation about the US A-10 being replaced.... first it was by a special version of the F-16 called the A-16 but that was a pathetic failure... the A-16 was too fragile. there were attempts at CAS with the Harrier but it is fragile too and an easy target for MANPADs. The F-35 will be an expensive dog that will likely be even more fragile than the A-16... and you know what... in 2025 when the A-10 is still in service people will still be saying it should be replaced. Personally I think they should take that enormous gun out of it and replace it with the two 25mm high velocity cannon from the AV-8 and with all that weight and space saved they should put a nose full of sensors from the commanche and apache and a mmw radar nose for detecting ground targets... the aircraft would become a little more expensive, but vastly more capable. For the Su-39 all they need is Kh-25 with IIR and TV guidance, plus Vikhr and later HERMES. Its history and experience need to be carefully examined to determine whether it needs the amphibious capabilities it has or not. If it does then the Be-200 would be an ideal replacement, but if it does not then the Tu-214 or similar would be rather cheaper to buy and operate..
that say that the Russian Naval Aviation would have 5 active and 34 in the reserve, with 68 scraped, or destruyed by technical failures or accidents. It is so obvious that the aircraft is being replaced and removed from active service, and until now there is not an specific aircraft for this replacement, but it is clear that other aerial vehicles are taking the roles of the retired Be-12. For the remaining aircrafts in service, maybe an specific replacement or not. Il-38: I thik this model would be second in line for a total decommission. The fact that the Tu-142, a variant of the Tu-95 strategic bomber was designed as a replacement of the Il-38 and accepted as successor at the production level talks about how close are the bomber role (strategic and ligh bomber) and the most military part of the maritime roles (anti-submarine and anti-ship). The idea of the Tu-142 replacing the Il-38 at production level is not from me. There are multiple sources that talk about how the production of the Il-38 stoped after only 5 years (1967-1972) because the orders for aircrafts for the same role changed to the "more powerful" Tu-142. Obviously the Il-38 was not to be decommissioned in the mid 70s, and Russia used them. But taking this into account, it is logical to think that the Il-38 should disappear before the Tu-95/142. At the time of the design and production, Il-38 and Tu-142 were not considered aircrafts of different class or role. Also it means that it would be logical that Tu-95/142 remains longer time active than Il-38, and I would not rule out this aircraft going to the reserve before the end of the decade. The surveillance, patrol, reconnaissance,... roles are being assumed by lighter and cheaper drones. Multiple drones would fly at the same cost than one Il-38 or Tu-142. Only for the attack roles is necessary a replacement by another aircraft. The Tu-160 and Tu-22 are technically "in production" in their last variants. Some small update maybe necessary, but I think these aircrafts would not have high trouble to work with anti-submarine ammunition too. The large crews are needed to monitor systems and control systems on board... processing info on board in real time without having to transmit all thedata collected means less communications and less chance of being intercepted/detected. Big crew is other detail that shows how Il-38 (crew of 7 to 10) and Tu-95/142 (crew of 7) are older concept than Tu-160 and Tu-22 (both with a crew of 4). Where I talked about a gap vs the US in this area? I said nothing about them. First to say that I find a gap between the Il-38 and Tu-95/142 in relation with the Tu-160 and Tu-22. Not by the age of the aircrafts, but by the concept. The replacement of an aircraft is done habitually in two steps, first going to the reserve and second with a scrape or a sale. To have some Tu-22 in the reserve, can help to do at least part of the first step. For the second step would be necessary the production of new Tu-160 or new Tu-PAK-DA. About the US. The best of their strategic bombers is the B1B in my view. The B52 is as old concept as the Il-38 and the Tu-95/160, or even older, and the B2 never impressed me as a concept. It was obvious that the B2 solution only would work a few years, and after the adversary improve its radars, the aircraft would be underperforming in all the rest of the needed features. Since the begin it was obvious that would have a short life looking at high technology wars (of course the aircraft can remain undetected longer time flying over most of Africa). I would not follow them on bad decissions. GarryB wrote: How does the fact that these aircraft are all still in production and use reinforce the "fact" that they will be replaced with UAVs? The reinforced idea would be that the replacement will take some years. "It appears that unmanned aircraft refer exactly to such cases. The orders to Russian defense enterprises are supposed to symbolize serious intentions of the Russian government to catch up and surpass competitors in the field of the creations of future generations of weapons. Unlike Israeli aeroplane-type unmanned aircraft, it goes about the helicopter-type drones." "The heavy unmanned helicopter Albatros appears to be the most interesting project from the point of view of combat actions of the future. The helicopter, weighing up to three tons, is designed by Russian Helicopters. This aircraft, the trial model of which is to be built in 2017, can be used as an attack or transport helicopter that will not require pilot’s presence for performing specific tasks. Under the order from the Defense Ministry, the company is working on the short-range drone with the takeoff mass of 300 kilos. The project is known as Ka-135, formerly known as “Roller.” Trial models are to be built by 2015, Gazeta.Ru said. At the end of 2011, Russian Helicopters received a third order to design Ka-175 unmanned chopper with the takeoff mass of 700 kilos and the range of up to 300 kilometers." "Russia’s Berkut Aero will reportedly team up with the UAE’s Adcom Systems to take Russia’s Berkut VL helicopter as a model for Russia’s first-ever combat helicopter drone. The aircraft would be stationed on a Russian aircraft carrier and fly to remote areas, Berkut Aero development director Dmitry Rumyantsev told the wire." Interesting projects. This is coming despite these models surely will not be the final solutions as replacement of the current human guided combat helicopters. Why do think that the Su-24 need to be replaced? Do you think it is obsolete in something? In which features the Su-25 would be over the Su-24? Regarding the Be-12, it really doesn't need a replacement in the Caspian sea. For the other places it operates... Black Sea and Baltic Sea, it would certainly make sense to replace it with a newer aircraft... the Be-200 for roles where landing on water or fire fighting would be useful, and perhaps the Il-114 or maybe the Il-112. It was as short range ASW aircraft with amphibious capabilities... a couple of Be-200s and a few Il-114s would probably fill the gap. But taking this into account, it is logical to think that the Il-38 should disappear before the Tu-95/142. At the time of the design and production, Il-38 and Tu-142 were not considered aircrafts of different class or role. They are both getting significant upgrades... they wont be replaced for 10 years or more. If the job is to look for Subs at medium range the Il-38 would be cheaper though it would have less time on station it would also burn less fuel. The surveillance, patrol, reconnaissance,... roles are being assumed by lighter and cheaper drones. Multiple drones would fly at the same cost than one Il-38 or Tu-142. I am not disagreeing that surveillance and recon and some components of a patrol can be performed by UAVs, but when those UAVs are not in service and don't even exist yet it is premature to suggest the aircraft they will replace should be retired. The other thing they do is destroy carriers with 7 ton missiles and attack submarines with depth charges and torpedoes... how many of your UAVs do that? The Tu-160 and Tu-22 are technically "in production" in their last variants. Some small update maybe necessary, but I think these aircrafts would not have high trouble to work with anti-submarine ammunition too. I think it would be a bit stupid using the only 15 odd remaining Blackjacks to hunt submarines when their main function is nuclear strike. Tu-160 and Tu-22 are bombers/cruise missile carriers... they have pilots, co pilots, weapons officers, and ECM/navigator. So the Russians have planes newer than most of the US planes... the richest most powerful air force in the world, but they need to upgrade? First to say that I find a gap between the Il-38 and Tu-95/142 in relation with the Tu-160 and Tu-22. Not by the age of the aircrafts, but by the concept. In that sense they are effectively doing the same job over different flight ranges. there is no need to retire the cheaper shorter range version first as both are useful for the different distances they can operate at. In the case of the naval aircraft their capabilities are essential. A few. This is why would be easy to replace them from active service. If I'm not wrong the aircraft remains in bigger numbers in the reserve. Except the Ka-37 is not in service and neither are the other UAVs mentioned. With a take off mass of 700kgs and a flight range of 300km it will have less than 50kg payload capacity and you think it will replace 12 ton Mi-28NMs? They might develop recon UAV helos, and light transports to transfer food and ammo and water to forward deployed forces and able to carry back wounded, but these are troop support helos... not helo replacement helos. The fact that it is heavily armoured and is designed to operate at low speed over the front line of a battlefield, whereas an Su-24 is designed to fly very low and very fast to a specific target... destroy it, and fly home. The Su-24 is an F-111 and the Su-25 is an A-10... the Su-34 is the F-15E. Do you think the F-15E should replace the F-111... do you think the F-111 could replace the A-10? About the drones (and satellites): Almost all of the drones that are entering in service these years are used for reconnaisance, patrol, surveillance,... purposes. Also a decent number of satellites. It is their main purpose today. I'm sure that Russia has in service drones that we even do not know. Also Russia pursues unmanned combat helicopters, the concept, and does it thinking in the future combat helicopters that will replace the current generation. GarryB wrote: The other thing they do is destroy carriers with 7 ton missiles and attack submarines with depth charges and torpedoes... how many of your UAVs do that? In the family of long range bombers, called also strategic bombers, the introduction of shipborne unmanned aircrafts of different sizes (all significantly smaller than strategic bombers) for reconnaisance, surveillance and maritime patrol roles, makes more clear that the concept of strategic bomber must share the same philosophy to deal with land or sea targets (including submarine targets). The comment was more focused on new units (of new variants if necessary) that can be produced of both aircrafts while the new Tu-PAK-DA is in development. All this block is related with one issue. When to replace an aerial vehicle, and when not. An aerial vehicle must be replaced when becomes obsolete. But must not be replaced if it is not totally obsolete. Which aerial vehicles in the Russian fleet would be less modern? I think we have a fair view looking at the results of the poll. The need of big crews is a sign of aircrafts from a previous and older concept. Of course every member of the crew has a mission, but it ads nothing to what we were talking. Combat aircrafts are dangerous enough to consider aircrafts that put in risk lower number of lifes. Older aircrafts maybe cheaper in consum of fuel and maybe in manteinance but are more expensive in other costs related to bigger crews (salaries, pensions,... all must be counted). To follow another country (like the US) in their decissions seems not the right procedure to think about replacements in the own fleet. If some country decides to keep obsolete warfare active longer time there is a chance to take advantage from it. Years ago it was a doubt about strategic bombers as a concept, but today the strategic bombers need not to fly just over the target to hit it, like in the WWII. Then today there is room for the concept to continue. Other case. Despite to have a replacement in production, like in the case of the Su-24 with the Su-34, it means not that there is a need to replace the older of them, and less being considered less obsolete than other aircrafts of the fleet. Russia can have both in the fleet while the Su-24 becomes really obsolete. I seriously doubt that the Su-25, with less than a half of weight is more armoured than the Su-24. There is some data to confirm it? If the alone dfference between the Su-25 and the Su-24 is that the first is designed to work at low speed and the second is designed to work faster, the decission in my view would be clear: Keep the faster and replace the slower before, and more if the faster is better "armoured" like I would expect and better armed. But again, an aerial vehicle must be replaced only when it becomes obsolete. About the drones (and satellites): Almost all of the drones that are entering in service these years are used for reconnaisance, patrol, surveillance,... purposes. Also a decent number of satellites. Recon assets don't replace combat assets, they force multiply them. They wont be replacing the Tu-142 with any type of satellite or drone within the next 20 years at the very least. An aircraft large enough to carry the sensors the Tu-142 carries plus the Sea Dragon system would be huge and not that cheap, but rather more vulnerable... in other words smaller lighter UAVs with parts of the systems fitted to Tu-142 might be useful to support operations and go into specific places the manned aircraft would not dare enter but they wont replace them in service. I'm sure that Russia has in service drones that we even do not know. That is possible but the fact that they continue to apply rather expensive upgrades to their Tu-142s and Il-38s suggests they wont be replaced any time soon. Both aircraft could carry a wide range of Russian weapons including Klub and Kh-31 and Kh-35 as well as various anti sub weapons. Also Russia pursues unmanned combat helicopters, the concept, and does it thinking in the future combat helicopters that will replace the current generation. Let me agree to disagree. 2000-2005 all Mig-25 decommissioned from service. Some ac still active, most ac are in storage. In the other side the most specific combat roles of these aircrafts can be more easily unified with strategic bombing roles. Different ammunition would be needed but not as different launchers (aircrafts). So are you suggesting that in addition to being strategic cruise missile carriers, the in service heavy aircraft also operate as part of the navy? Neither the new build Blackjacks nor new production PAK DAs will be ready for any mission within the next decade to decade and a half. Rubbish. An aerial vehicle must be replaced for several reasons... it not longer does the job it was supposed to do AND there is a replacement ready to do its job, or it is becoming increasingly more expensive to perform its job AND there is a cheaper alternative able and ready to do its job. You are totally right... the crew of 7 for the Tu-142 is pathetic and they should be junked as soon as possible. Of course the US equivalent to the Il-38 is the BRAND NEW P-8 Posiden that has a crew of 9... I guess that is just evidence of its total backwardness and they should be scrapped immediately too? Of course maybe I am just being silly... the brand new Nimrods the UK has recently scrapped as being unaffordable had a crew of 10, so maybe you have something. Or perhaps you don't... perhaps you don't realise these aircraft operate for extremely long periods so even just the flight crew will be at least 3 with two pilots and a navigator that will switch roles to keep the plane airborne 24/7... then having merely 3 people looking at screens for air and sea surface surveillance radar returns and three to replace them every 2-3 hours you already have 9 people that are needed. To follow another country (like the US) in their decissions seems not the right procedure to think about replacements in the own fleet. To do it because country x does it would be very stupid... to do it for the same reason country x does it is not stupid... it is just having the same problems and coming to the same conclusion. So in this case you agree that replacing something before its replacement is in full service would be silly, so why do you think the opposite for the Il-38 and Tu-142 and Su-25? Don't be surprised if the Russian AF ignores you. They already have experience with speed and ground attack and the solutions are pretty clear... which is why the Su-25 exists in the first place. The Su-24 is a very capable aircraft, but it does not fly low and slow over the battlefield looking for targets. It is given a target and it flies in and destroys it, while defending itself on the way in partly though flying very low and very fast, and partly with the very careful use of decoys and jamming and short range AAMs. The Su-25 on the other hand is called up by ground forces to engage targets that might be very close to friendlies... it has to be slow enough to find targets and hit them precisely with heavy weapons... it is more like mobile artillery... and the Su-24 has modest armour, while the Su-25 is heavily armoured. GarryB wrote: Recon assets don't replace combat assets, they force multiply them. GarryB wrote: So are you suggesting that in addition to being strategic cruise missile carriers, the in service heavy aircraft also operate as part of the navy? Do not forget that Tu-95 and Tu-142 are basically the same aircraft (approximately same size, same crew, same weight,...). The second is a variant of the first adapted to maritime work. It would be as difficult to apply the same principle to the Tu-22 and Tu-160? This is pretty possible and even likely. Even with drones and satellites taking bigger roles on surveillance, patrol, reconnaissance,... it would be less necessary for these aircrafts to assume them as the previous Tu-142 did, making lower the need of adaptation. I would say that long range bombers would have their natural place in the Air Force, since the Air Force can have sea targets as they have land targets. But this would be less important. Even the Tu-22 is not strange for the Naval Aviation. To do not the job it was supposed to do (and to be not able to do other useful roles) is to be obsolete (or to be broken). Also to consum excesive human resources to do the job, puts the warfare close of being obsolete. This is the main cause for retiring totally (even of the reserve) a concrete warfare. About the economic side, you remain thinking like if Russia would be in the 90s. This is not the current situation of the aerial warfare of the different branches of the armed forces. Today there are about 2000 aircrafts and helicopters in active service in Russia. It is necessary to produce about 80 new aircrafts and helicopters by year to replace all them in 25 years. The current production of aircrafts and helicopters by year for the Russian armed forces is exceeds this rythm, then it means Russia is expanding today the aerial fleet (the active fleet and the reserve). Expect not to see modern aircrafts scraped by economic troubles in Russia. Even in time of economic problems, this is not a reason to retire totally modern warfare, at worst you keep it quiet in the reserve. The decommission of the T-64 is likely the last example of Russia contradicting this recently. Its not as rare. GarryB wrote: the BRAND NEW P-8 Posiden that has a crew of 9... I guess that is just evidence of its total backwardness and they should be scrapped immediately too? It seems an aircraft designed following old criteria (the same that consider the B52 capable until 2050) despite to have likely modern technology inside. They will fly them but it is a problem. This type of designs habitually have shorter life tan others. GarryB wrote: They already have experience with speed and ground attack and the solutions are pretty clear... which is why the Su-25 exists in the first place. I can see how the Su-25 can be better armoured than other aircrafts of its size, like the MiG-27, but I need to see some data to think that the Su-25 is better armoured than the Su-24. Roughly armour is weight and the Su-24 has more than double weight than the Su-25, both empty. It is very unlikely. Also I doubt that the combat style of the Su-25 can remain longer than the combat style of the Su-24. It seems less adapted to modern battlefields with modern man-portable air defense. The Su-25 can become obsolete before. I remarked the second part of your quote. We can compare this article with the article about other recent cases, the Ka-25 and the T-64. What part of decommissioned from service do you not understand? They have T-34s in storage too are you suggesting they can be considered still in Russian Army service? Do not forget that Tu-95 and Tu-142 are basically the same aircraft (approximately same size, same crew, same weight,...). The Tu-95MS IS a Tu-142... the only reason they call current in service Bears Tu-95s is because that is what they are called in all the treaties on strategic nuclear weapons. There are no Tu-95s still in operation... they are all Tu-142s. The second is a variant of the first adapted to maritime work. Nope. The Tu-142M is the upgraded bear wing and body shape and both the Tu-142Ms in service as MPAs and the Tu-95MSs in service as strategic cruise missile carriers have the same upgraded wings and bodies. It would be as difficult to apply the same principle to the Tu-22 and Tu-160? This is pretty possible and even likely. Even with drones and satellites taking bigger roles on surveillance, patrol, reconnaissance,... it would be less necessary for these aircrafts to assume them as the previous Tu-142 did, making lower the need of adaptation. The Tu-22M has never been a MPA... it is a medium (theatre) range strike bomber/missile carrier. Installing Sea Dragon into Tu-22M and Tu-160M would make them unable to perform their strategic roles and rather poor MPAs as part of the role is to loiter over areas of the sea for hours. Even in time of economic problems, this is not a reason to retire totally modern warfare, at worst you keep it quiet in the reserve. You are the one demanding perfectly good aircraft are retired because they are too old in your opinion. The T-64 is a totally different tank type to the T-72, T-90, and T-80 and it is old anyway. It is also foreign and severely flawed in its design... it made perfect sense to retire it early because it was now a foreign tank that had a huge design flaw. Are you aware of the role of the MPA? The aircraft the P-8 replaced is the P-3 Orion... the P-3 Orion has been in service for more than 50 years and has a crew of about 11... having a crew of 11 didn't make it shorter in terms of operational life span... a MPA that can fly around for 12 hours searching for missing people or submarines needs more than two people to fly the damn thing. A drone will have a dozen people monitoring its data in real time so drones wont reduce the number of people needed to do the job... just the number of people who have to fly around the place. Umm.. the Su-24 is supposed to be flying at very low altitude at night preferably in bad weather at near supersonic speed... how many bullet proof panels do you think its cockpit needs. It seems less adapted to modern battlefields with modern man-portable air defense. The Su-25 can become obsolete before. I want not to discuss either about other obvious things like the Tu-95 and the Tu-142 being basically the same aircraft, with the second being a variant adapted to maritime work. Only some links. The same can happen in some years with cases like the Il-38 and Be-12. Today there are still more aircrafts doing this job like the new P-8 does. But in 30 years from now, in 2045, the P-8 will be the alone and will look severely outdated, with thousands of drones serving and their controllers sitting in safer seats. You can bet that this aircraft will not be 50 years in service like its antecessor. - The structure of the Su-24 needs to be significantly stronger than the structure of the Su-25 to move properly the difference of weight between the two aircrafts and to resist the bigger efforts of fliying at higher speed. It means the structure of the Su-24 being stronger by default. - The cover of the Su-24 needs to be also significantly stronger than the cover of the Su-25 to resist the bigger efforts of fliying at higher speed. It means bigger thicknesses in the cover of the Su-24 by default. The Su-24 empty has a weight of 22.3 tons and the Su-25 has a weight of 9.8 tons (the Su-25 would have a 43% of the weight of the Su-24, roughly about the same difference in weight that have the BMP-97 or the BTR-70 and the new Bumerang of 25 tons). Also both aircrafts are approximately of the same period (the 70s) and were developed under the same tecnological knowledge about armour. Appliying basical technical knowledge I'm far from convinced about the Su-25 being better armoured than the Su-24. The use of pannels to protect the cockpit may be sign of a better protected crew, but even this is not proved, without some data. But these pannels would not avoid a fall after a hit, if there are not integrated in the structure and the cover of the aircraft, and even in this case the rest of the aircraft (Su-25) would be significantly less protected to hits. Actually the Tu-142 was the newer design and it was upgraded in the 1970s to the Tu-142 design with improved wings and fuselage. The new build Tu-95s built in the 1980s and 1990s were based on the new Tu-142M design because it was more efficient and better. They kept the Tu-95 designation because they were strategic cruise missile carriers and are limited by international treaty... SALT and START. You want the Su-24 to replace the Su-25. The Su-25 is a combat air support aircraft (CAS) like the A-10, while the Su-24 is a medium strike aircraft (like the F-111). The Il-38 and Be-12 are different aircraft with different roles... the Il-38 is a medium range ASW aircraft with no ability to land on water. the Be-12 is a short to medium range ASW and rescue aircraft. Il-38 has Sea Dragon installed, Be-12 does not. Who knows what will be in service in 50 years... but odds are something like a turbofan/turboprop aircraft that uses drones to support its operations would make sense for the next 20 years. the armoured bathtub around the pilot in the Su-25 is structural. But that extra strength is for carrying more fuel and more payload over greater distances at higher speed. It also carries two crew and a rather large radar with two antenna... one for terrain following and one for air search. Air flowing over the skin of an aircraft can't be compared with enemy ground fire... otherwise the MiG-25 would be better armoured than any other Russian aircraft... and despite being made of steel... it is not. The Su-25 is designed to fly low and slow over enemy forces and has armour around the cockpit and between the engines. The Su-24 is designed to fly very low and very fast and evade enemy ground fire by not flying over it. Finally assuming the evidence about some warfare being decommissioned without a replacement like the T-64, and about the Tu-95/142. The differences between the variants are explained quite well in the links of my preious message. The same philosophy adapted to the current needs can be applyed to other long range bombers like the Tu-22, Tu-160 and the new Tu-PAK-DA, and also, more warfare can be decommissioned in the future without a replacement like te T-64. About the Su-25 being better armoured than the Su-24. Again, armour without weight? Armour means weight, and the Su-25 has a 43% of the weight of the Su-24 (both empty). This is what has not been explained still and need to be explained in order to prove that the Su-25 is better armoured than the Su-24. GarryB wrote: You want the Su-24 to replace the Su-25. Very different of what you said. Finally assuming the evidence about some warfare being decommissioned without a replacement like the T-64, and about the Tu-95/114/126/142. The differences between the variants are explained quite well in the links of my preious message. The same philosophy adapted to the current needs can be applyed to other long range bombers like the Tu-22, Tu-160 and the new Tu-PAK-DA, and also, more warfare can be decommissioned in the future without a replacement like te T-64. The comparison is flawed... the T-64 was dropped fairly quickly because its design was flawed, but also because the local tank manufacturer made a different tank design (T-72/-90). If you don't know the Su-25 does not have better armour than an Su-24 there is no way to work it out via dry aircraft weight. A Panther tank weighs about the same as a T-90M, so their weight is similar but their armour protection is different. You said you were not in favour of replacing perfectly good aircraft, but you think a high speed Su-24 can do the job of a low speed Su-25. Thankfully the Russian military is not as ignorant as you of the facts.They learned fairly quickly that high speed jet fighters that had traditionally been used as ground attack aircraft when they were no longer effective as fighters were not that good at ground attack. They found the old MiG-15 was good in the air to ground role with rocket pods or light bombs or just its powerful cannon armament, but that later models like the MiG-17 and MiG-19 and MiG-21 were not so effective as their higher speed meant they often missed spotting ground targets. The solution was the Shturmovich... the low speed armoured attack aircraft... the modern equivalent of the Il-2. Sukhoi have said they will be upgrading the Su-25SM to SM3 level and a new dedicated CAS is being developed to suppliment the aircraft and then replace it in the late 2020s and early 2030s. The Su-24 is already being replaced by the Su-34 And will likely not be in service in 2025. Simple solution, take a Su-24 and replace it for strike jobs against fixed ground targets with a Su-25 and do the same with enemy mobile ground targets with heavy Anti Aircraft and ground fire present and try to loiter and strike the enemy forces on the ground with a Su-24, then see which aircraft performce better in their intended role or in their switched roles. There is a reason why they do the jobs they do. The weight is not defacto an indication of who is better armored, but the design, scale and what parts are armored. Aircrafts do not feature armor everywhere but only at very specific areas like cockpit and engines, the rest is left out not to overweight and more importantly not to kick off the entire balance of an aircraft. An overloaded with bad balance tank can still drive with some limitations, but an aircraft will not be operational after that. The Su-25 has armor only at its cockpit, near fuel tanks and engies, rest is unarmored just like any other aircraft. titanium also does not weight much compared with its protective capabilities. The Su-24 has basically no armor, it was designed as a quick hit and run aircraft that was not intended to loiter over enemy space but to neutralize or to bypass enemy IADS. Su-25 was designed to destroy mobile targets of enemy tank divisions under enemy SHORAD. Su-24 is roughly 40% bigger than Su-25 just like A-10 is significantly smaller than F-111. Look at the size of a Su-24 which is roughly the same size a Mig-31 is which is a huge Jet and compare it to the man standing next to it and man standing next to Su-25. It has basically no armor but is vastly heavier due its massive size. Sure that there are in the Russian armed forces, and in the design teams of Russia people with more knowledge than me, but you are not one of them. You seems to read very much about technical issues, but seems to lack the basis done by a technical preparation. In the other topic about the military transport, you tried to talk about a design draw without see that was done drawing freehand, wich is something that is learned in the first year in every engineering degree in the world, and in this topic you are not able to defend your afirmations from a technical point. And despite it, your comments are plagued of condescendence and of unnecessary unrespecful afirmations. The design of the T-64 was obsolete, and this is why it was retired from the Russian armed forces even without a replacement. And you will see it again in the future. The T-64 as a design deserves all the respect after 50 years of succesful service. Every design has weak points, and a design whose weak points emerge only after 50 years of service at the highest level is pretty successful. Your afirmations about the Su-25 being better armoured than the Su-24, are disrespectful toward the design of the Su-24, because if true your afirmations would mean that the design of the Su-24 would be plagued of death weight. Being both of the 70s, done under the same technical knowledge about armour (not like the Phanter of the WWII and the T-90). But the trouble is not in the design of the Su-24, the alone trouble here is that you seems to have not your mind formed in orders of magnitude, and this is why you talk as you talk. You are not talking about the An-72, the Su-24 is a combat aircraft. And you (GarryB) still seems to think that you are defending the technical work of the Russian Armed Forces from me. Sure that there are in the Russian armed forces, and in the design teams of Russia people with more knowledge than me, but you are not one of them. I am impressed... not only are you a qualified engineer, but you have also studied in every course on the planet. Whether the design was freehand or in crayon, the facts remain the same... the Russians need and use transport aircraft in a range of sizes and shapes and just making the big ones is stupid. You don't need to be an engineer to know if you have ten kids when it comes time to buy some transport you don't go to the motorbike shop. And despite it, your comments are plagued of condescendence and of unnecessary unrespecful afirmations. Sometimes I get frustrated when someone appears to be ignoring what I am saying and just continues to say the same stupid things over and over. The design of the T-64 was obsolete, and this is why it was retired from the Russian armed forces even without a replacement. Interesting term obsolete. the fire control systems in the T-64 and T-80 are not bad and have been upgraded over time several times and were actually rather better than the systems used in early T-72s. What is obsolete in East Germany facing NATO in 1985 might not be obsolete killing wahhabists in Chechnia in 2004. Russia is a big country and not all of its territory faces 21st Century state of the art murders like NATO. The T-64 as a design deserves all the respect after 50 years of succesful service. Every design has weak points, and a design whose weak points emerge only after 50 years of service at the highest level is pretty successful. There is a huge flaw in that argument... What is successful service when it does not get fired upon for real? When it was fire upon in Chechnia they burned when penetrated. To me that is not a successful design... just a very long trial period and at the end of the trial it was rejected. 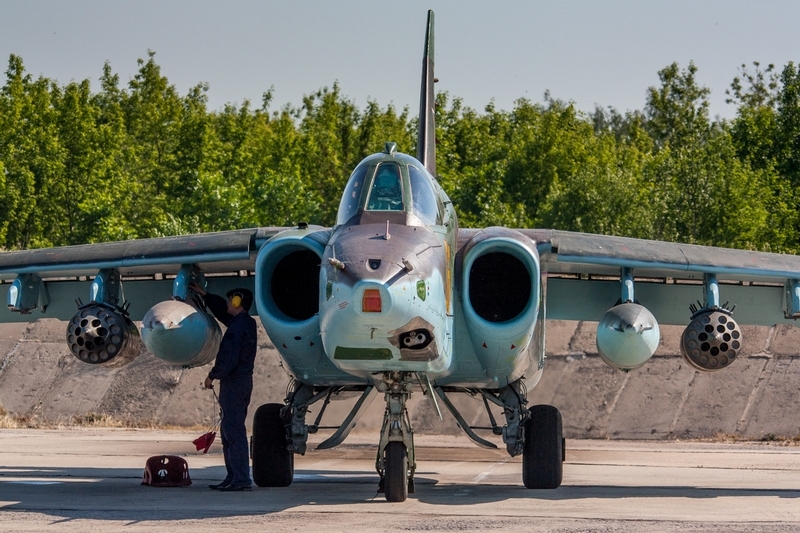 Your afirmations about the Su-25 being better armoured than the Su-24, are disrespectful toward the design of the Su-24, because if true your afirmations would mean that the design of the Su-24 would be plagued of death weight. Dear god read a book about these two aircraft... the Su-25 is heavily armoured around its cockpit, the su-24 might have armour plates here and there but it is not the same. The Su-25 is a shturmovik... a flying tank... not a flying fish tank, a flying tank. The Su-24 is a medium strike aircraft that is in the process of being replaced by the Su-34. You are not talking about the An-72, the Su-24 is a combat aircraft. You should know design is based on conflicting capabilities and choices made in design to achieve the goals set. For the Su-24 the goal was high speed low level flight into enemy territory to hit a specific point target like a bridge or HQ or comm centre. It will have some armour protection to stop fragments or cannon shell damage but they don't expect the aircraft to get shot to bits and still fly home. The want to protect the crew but they do that with high speed flight... the crew are not looking for targets, they know where their target is and want to get there quickly... kill it and leave. The Su-25 is called in to deal with problems holding up the front line advance, or is damaging the frontline withdrawl. The plane will fly in and look for targets and kill them and then leave. It flys much sloweer and spends more time over the enemy and will be peppered by enemy fire... which it expects on pretty much every mission. No armour plates here... the whole cockpit is an armoured tub protecting the crew from all angles except above. They don't need defending... they clearly know what they are doing. Do you see? I never suggested this. I said the Su-34 seems the perfect replacement for the Su-25, but I never said the Su-34 or the Su-24 need to perform this role. I said that the combat style of the Su-25 can become obsolete before than the combat style of the Su-24. How can you think that I want the Su-24 or the Su-34 to work like the Su-25, when I said that this combat style can become obsolete in some years? The Su-24 and Su-34 can go after the targets of the Su-25 but keeping their own combat style. With the increasing use of drones in the frontline for locating the enemy and their positions, is perfectly doable. Another example of you going by a wrong way from what I say. I need not to study in every course on the planet to know what is learned in engineering degrees. And still using words like ignorant, stupid,... in your comments. Definitely you have not technical formation. To draw freehand is a technical term, but you have no idea, of course. You was asked to provide some data in support of your afirmation of the Su-25 being better armored than the Su-24 in overall terms. You have 0 data, but even having them you would not be able to see it in the data. Also you are not able to judge properly a design like the T-64, but you are all but prudent. Perhaps you need to be clearer as to what you actually mean. I am also guessing English is not your first language. The Su-24 and Su-34 can go after the targets of the Su-25 but keeping their own combat style. As I told you, the Su-25 operates over the front line because that is where its targets are... to attack such targets with medium range strike aircraft would be to put them at great risk... why not just use Su-25s? With the increasing use of drones in the frontline for locating the enemy and their positions, is perfectly doable. So if Su-25s wont last long on the front line how long will a drone last? Definitely you have not technical formation. I have to admit I find your posts hard to follow sometimes. Some of your statements don't make sense. To draw freehand is a technical term, but you have no idea, of course. The problem with jargon is that it does not translate across specialities. A layman would consider the term "point blank" as being from very close range... so close you can't miss. It is actually a technical term meaning at the range the sights are set for, so iron sights set for 300m on a rifle means 300m is the point blank range of the weapon. But only to experts in that field. For the rest of us mortals terms don't have special meaning. You was asked to provide some data in support of your afirmation of the Su-25 being better armored than the Su-24 in overall terms. You have 0 data, but even having them you would not be able to see it in the data. Before reading this post I have read through 56 other posts posted today in my role as one of the moderators of this forum... I hope you understand if I don't spend time looking up video of cannon firing tests against the Su-25s 24mm thick titanium tub surrounding the pilot, or even just post what it says on Wiki about the Su-25 being developed because lighter faster unarmoured aircraft weren't getting the job done. If I have offended you then I apologise, but if I have said something you have said was stupid then don't take it so personally. Ok GarryB, not a trouble, I appreciate your last comment. No, English is not my first language, being from where I'm I speak better the Basque language, Spanish and French. GarryB wrote: So if Su-25s wont last long on the front line how long will a drone last? I expect the use of drones to be increased since the technology will become cheaper every time. Cheap drones of short-range and very light weight can be useful in the front line for reconnaisance, surveillance, intelligence,... without risking more expensive land and aerial vehicles. Still I'm not able to see what alternative can replace them in the future. A lot of supporters of drones see them as the future and that they will replace manned vehicles in all roles eventually. The most useful roles for using them at the moment are very dangerous or very boring very long range roles. A good example would have been U-2 flights over Russia, but obviously the skill needed for such a mission was beyond drones of the time as the altitude the U-2s flew at there was only about 10-20km/h difference between flying supersonic... and crashing, and stalling... and crashing. For recon, surv, and intell the frontline Russian troops will have a range of small and not so small drones to examine the area around them and ahead, but the actual job of dealing with enemy targets will be split between artillery... which will likely be much more powerful and accurate with guided shells etc, and also air power. The Su-25SM3 looks like a very capable aircraft and supporting it will be very capable attack helos like the Mi-28NM and Ka-52s. All will be able to hit targets on or near the front line with powerful weapons from reasonable distances. Personally I would like to see the Su-25SM3 fitted with a modern IIR targeting pod and for them to introduce small light short range guided missiles. Hermes is supposed to come in a range of guidance types including IIR and MMW radar guided as well as laser homing... and its 20km range and 30kg warhead should make it a potent weapon. If it can be carried like Vikhr on the Su-25TM then 16 missiles on two weapon pylons makes it a very useful very versatile weapon that will allow the aircraft standoff outside enemy MANPADS range. This means it can still support ground forces and deliver effective powerful fire even in a WWIII type fight. In a COIN op then its armour and firepower would be very useful... as Iraq and Iran both know from experience with older models of the type. The SM3 model adds continuously computed aiming points for dumb bombs... so you get an impact point in the HUD showing where your dumb bomb will hit the ground if you release it immediately in free flight. Makes dumb bombs much more accurate and frees the aircraft so it can manouver as needed to evade enemy fire or get into a good position to release the weapon without having to flying straight and level as with previous aiming systems.